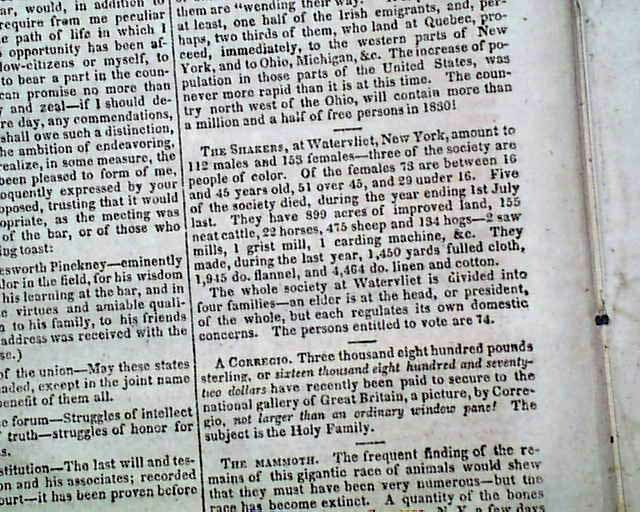 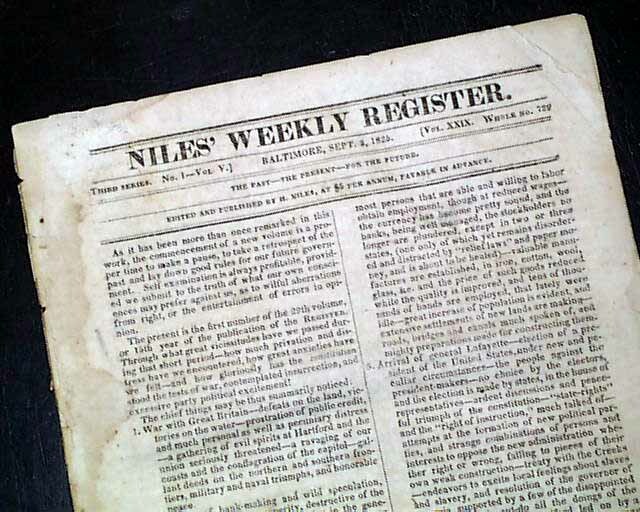 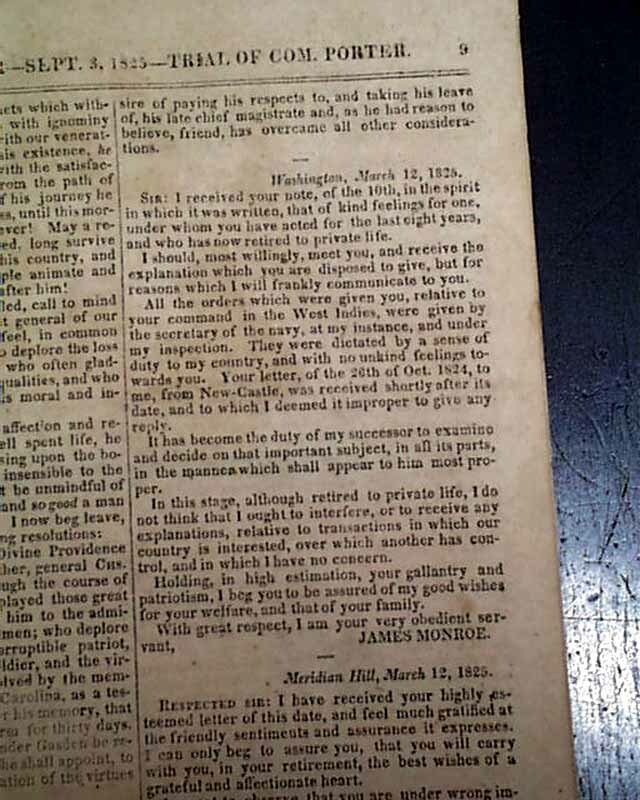 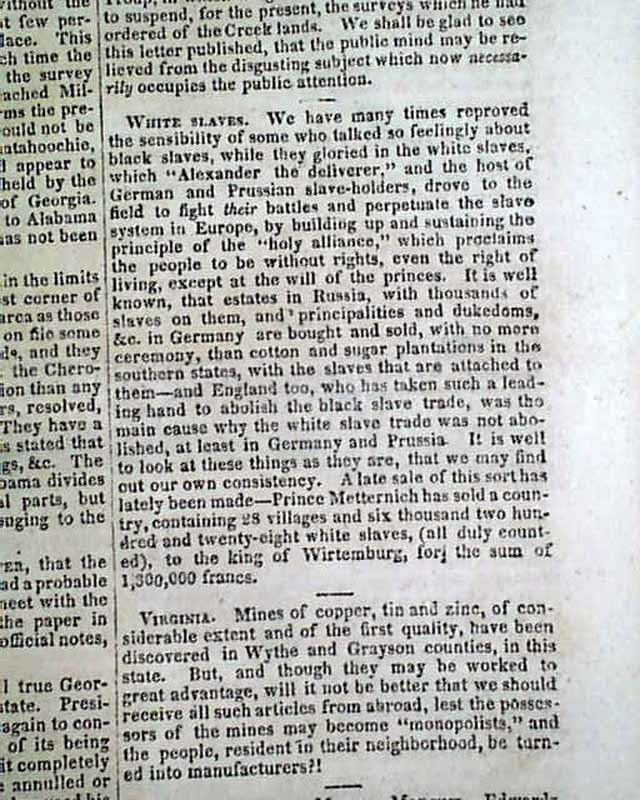 NILES' WEEKLY REGISTER, Baltimore, Sept. 3, 1825 Page 3 has an interesting article: "White Slaves". 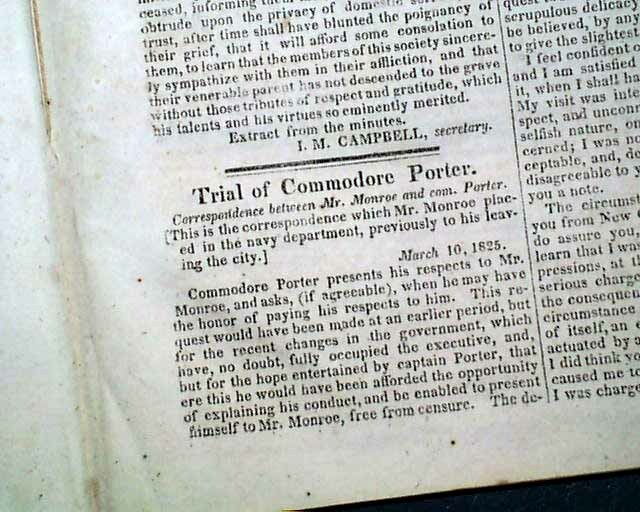 Elsewhere are: "The Shakers" with some details on them at Watervliet, New York; over 4 pages taken up with: "The Trial of Commodore Porter" concerning his general court martial for invading a town in Puerto Rico, which includes 2 letters signed in type: James Monroe & one signed: D. Porter. 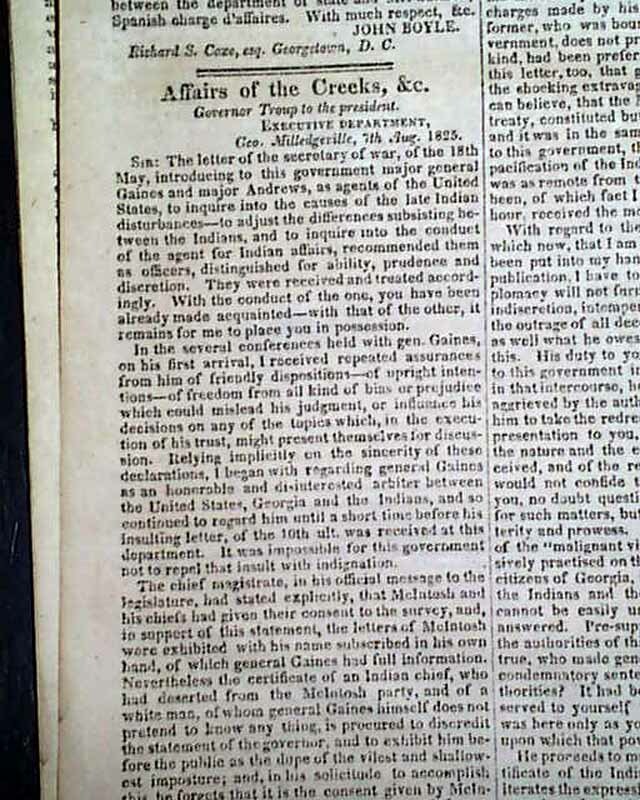 Near the back are two pages with much detail on: "Affairs of the Creeks". 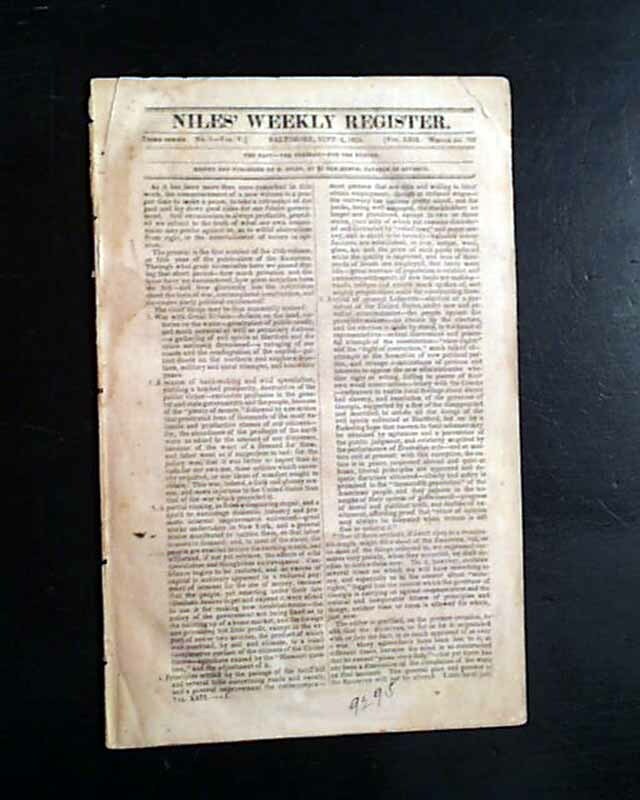 Sixteen pages, 6 by 9 3/4 inches, minor corner loss to the front leaf only not effecting any text, nice condition.